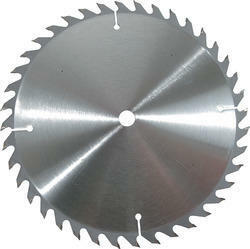 We are a leading Manufacturer of wood cutting blade from Delhi, India. From the first day of our commencement, we render the best quality of Wood Cutting Blade. Used for the purpose of cutting wood in precise size and dimension, the wood cutting blade is precisely designed by using modern machinery and technology. In addition to this, our customers can avail the wood cutting blade in various technical specifications.